This is how a beech mast looks on an idyllic winter day. Photo was taken during a short break by a cross-country skiing track (Vojsko, Slovenia). 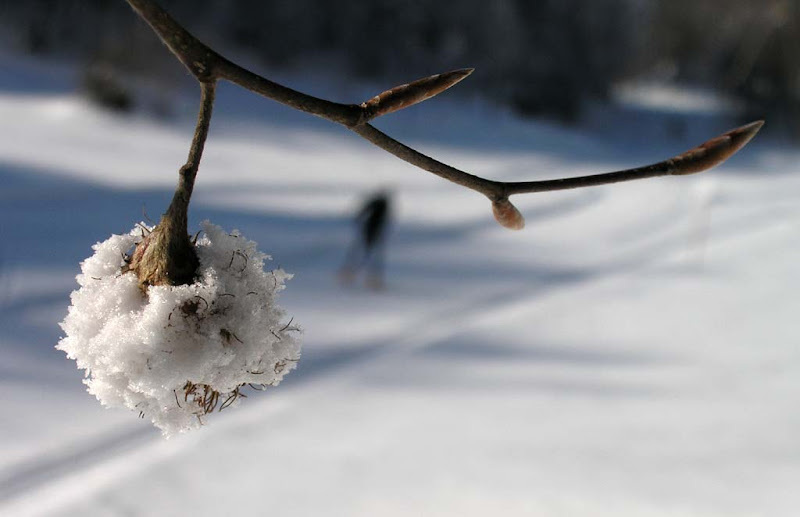 In spite of the intentional macro blur, a skier can be seen in the background.